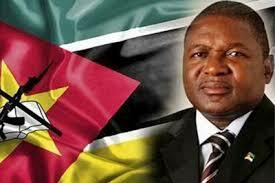 Mozambican President Filipe Nyusi received five credentials from ambassadors accredited to his country at his sea-side presidential palace in the capital Maputo on Wednesday, APA can report. Addressing a media briefing after the ceremony , Mozambican Minister of Foreign Affairs and Cooperation José Pacheco said the meetings focused on intensifying economic cooperation with governments and businessmen from countries whose heads of diplomatic and consular missions presented credentials. "The general thrust is to accelerate economic cooperation by favoring trade and private investment in Mozambique," Pacheco said. He explained that for investment, the Mozambican government defined as priority areas agriculture, energy, infrastructure and tourism. To this end, Wednesday ceremony was aimed at attracting more investment and encouraging the exchange of business delegations with a view to establishing bilateral partnerships. As far as trade is concerned, Pacheco said that there is a wide range of opportunities for the export of Mozambican products to the aforementioned countries and vice versa. Speaking in the specific case of the Seychelles, Pacheco said that given their proximity, coupled with the fact that they share the Indian Ocean, there are matters that both countries can explore in greater depth. "We are going to have this year's conference on the Blue Economy, we express interest in being able to count on Seychelles participation," Pacheco said. At the political and diplomatic level, according to the Mozambican official, great progress has been made in bilateral ties, both in consultations and consultations for the Southern African region, continental, as well as for international matters. He pointed to solidarity, friendship, as well as cooperation with all countries believed in how the country achieved "excellent relations". He revealed that cross-cutting issues such as health and education also emerged during the event.